Beekman & Reames Banking House | Historic Jacksonville, Inc. In 1887 Thomas Reames joined his California Street neighbor Cornelius Beekman as a co-partner in the C.C. Beekman Bank, creating Beekman & Reames Banking House at the corner of California and North 3rd streets in Jacksonville. 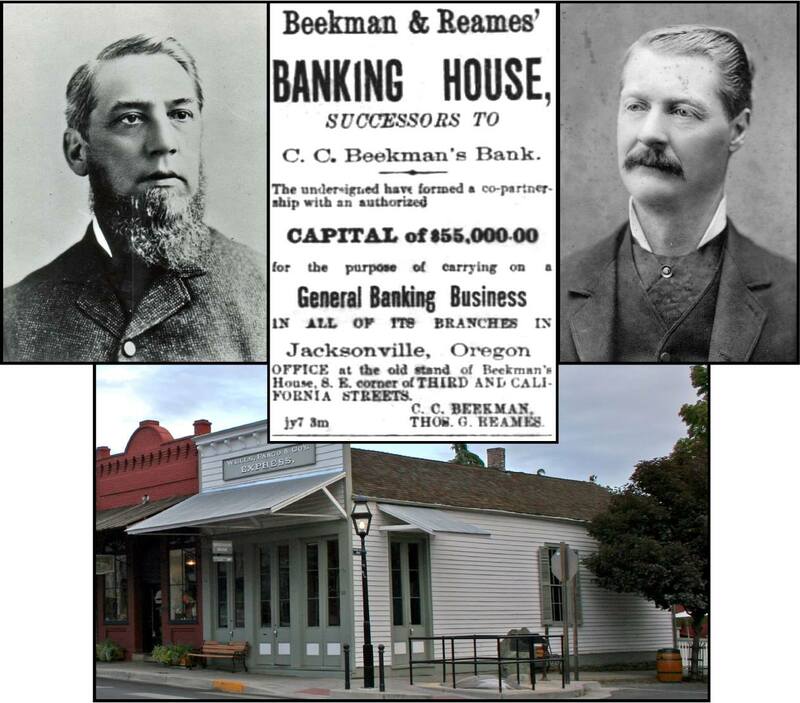 In addition to general banking, Beekman & Reames invested heavily in county warrants and large land holdings. The partnership continued until Reames’ death in 1900 from complications from a cold. However, Beekman continued to use the Beekman & Reames imprint for some years afterwards—after all, why waste perfectly good stationery and business cards….